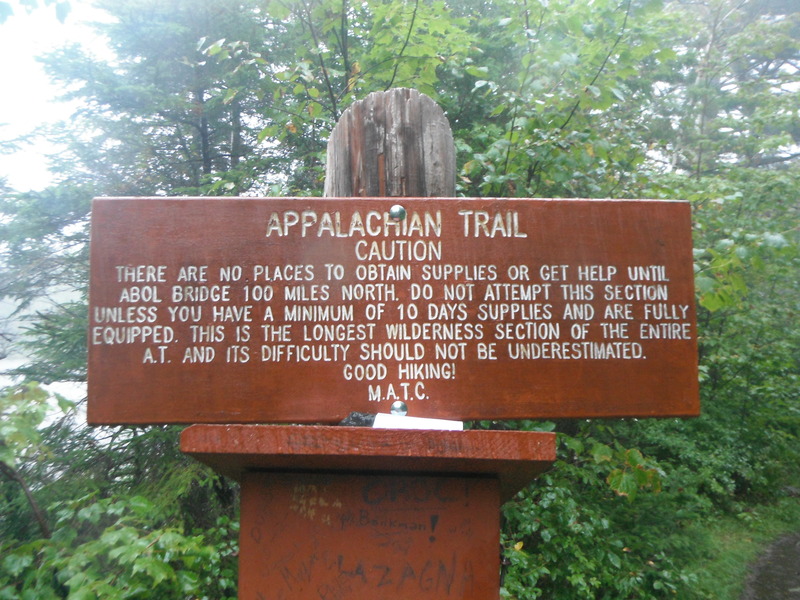 There’s a popular saying on the Appalachian Trail: “No rain, no pain, no Maine.” It suggests that a hiker who chooses not to walk through rain or pain will never get to the trail’s northern terminus in one year. I think I was under the impression that all of the rain veteran hikers spoke of was going to fall before I got to Maine, but that wasn’t the case. What they didn’t tell me is that I’d be met with a whole lot of rain in Maine — and pain, for that matter. And, when the water falling out of the sky isn’t enough to soak you, Maine is riddled with river and stream crossings and trailside ponds. Before I go further, it’s important to point out that I love hiking in Maine. 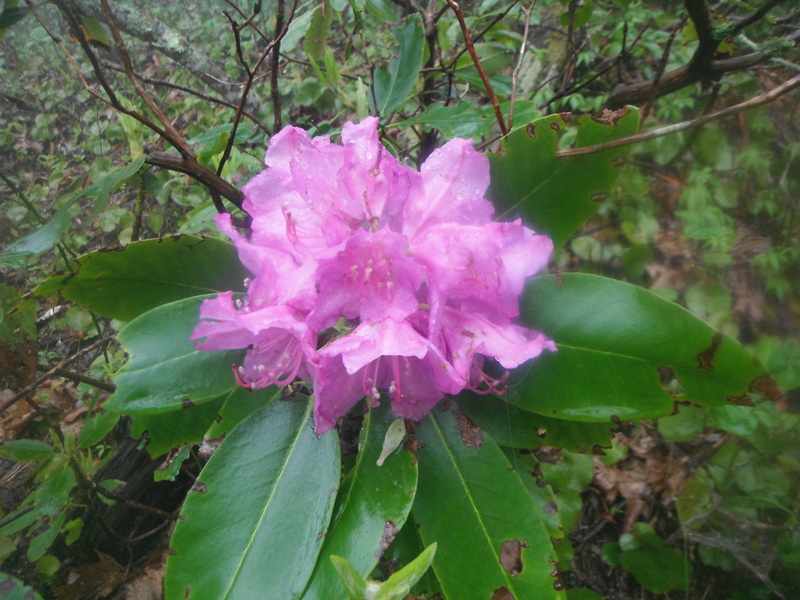 Even through the rain and pain, I appreciated the rugged natural beauty of the state on my thru-hike, and I have spent part of each of the last four summers hiking in it. The Hundred-Mile Wilderness is one of my favorite places in the world, and I intend to continue hiking it as a summer tradition (whenever I’m not on another long trail). 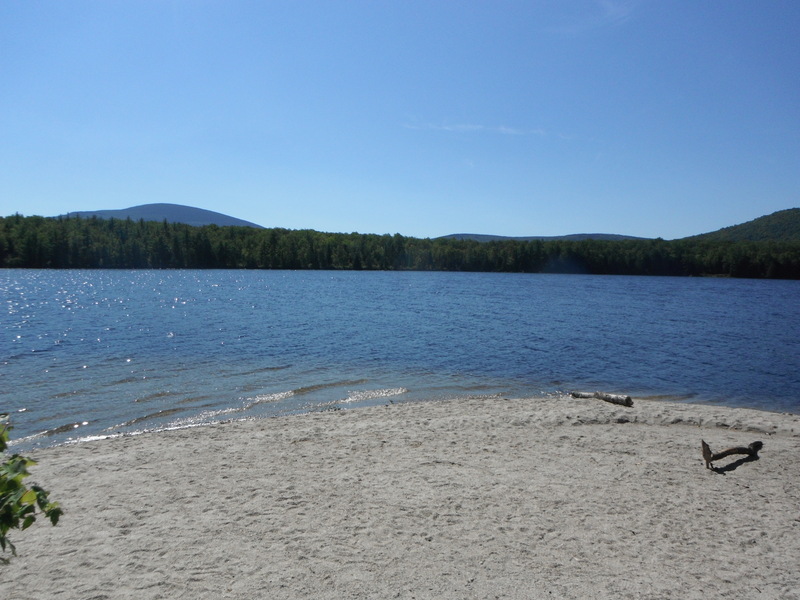 One of the greatest things about hiking in Maine is visiting its glacial ponds. The AT passes by a couple dozen of these ponds, sometimes going so close that hikers walk on the sand at their shores and other times passing out of view of the ponds, which are accessible by short side trails. On warm and sunny days, these ponds, with their silence and stillness, make ideal swimming holes. Lying on their hidden beaches and swimming in their brilliant blue waters evokes a sense of complete solitude, peace, and blessedness. My favorite non-mountainous spot on the AT is on the shore of one of Maine’s ponds. But, Maine is definitely not all sunshine and rainbows. 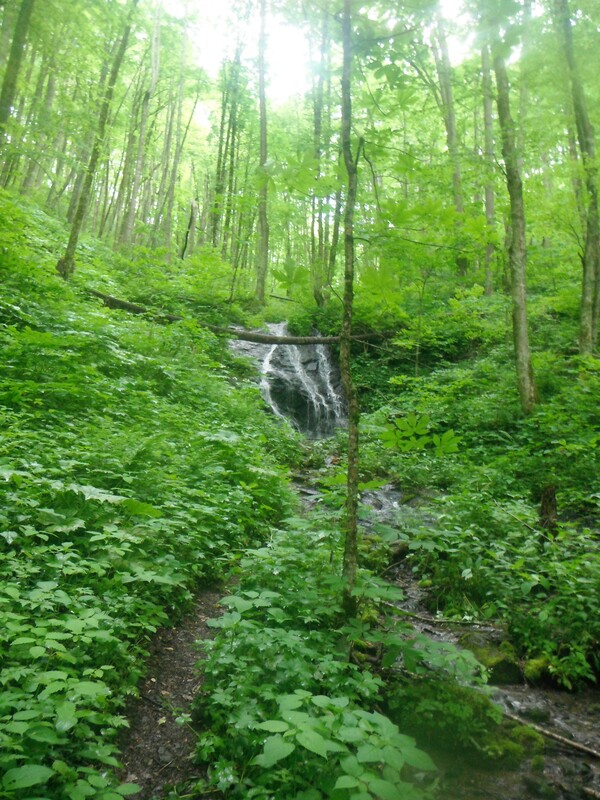 In that state, the Appalachian Trail crosses numerous large streams and rivers. Before you say it, I know, they’re nothing like the swollen streams from Sierra snowmelt, but they can still be dramatic. 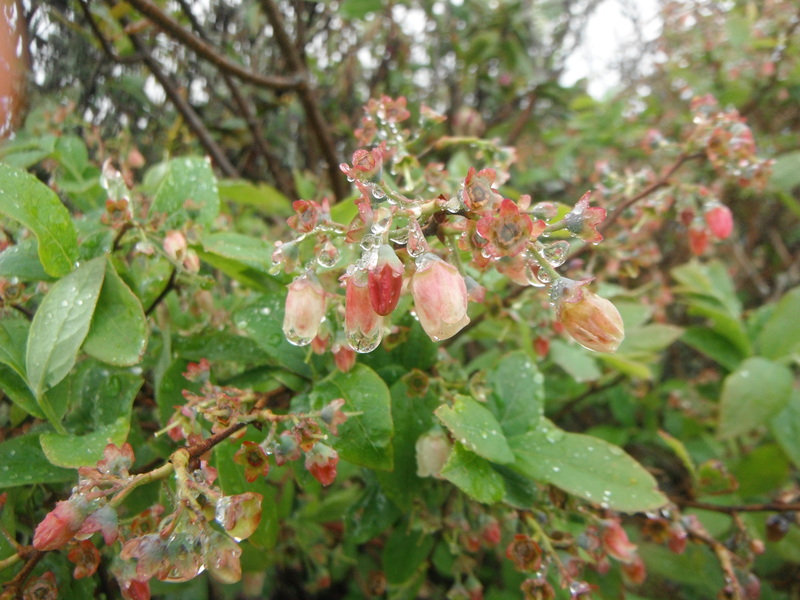 The first time I walked through the Hundred-Mile Wilderness (which wasn’t in 2012 because of my broken foot), it had been a very rainy summer. Before entering that famous stretch of trail, I’d spent a sunny afternoon resupplying and talking on the phone at Greenville and had just climbed into the SUV in which I was hitching back to the trail when the skies opened up. 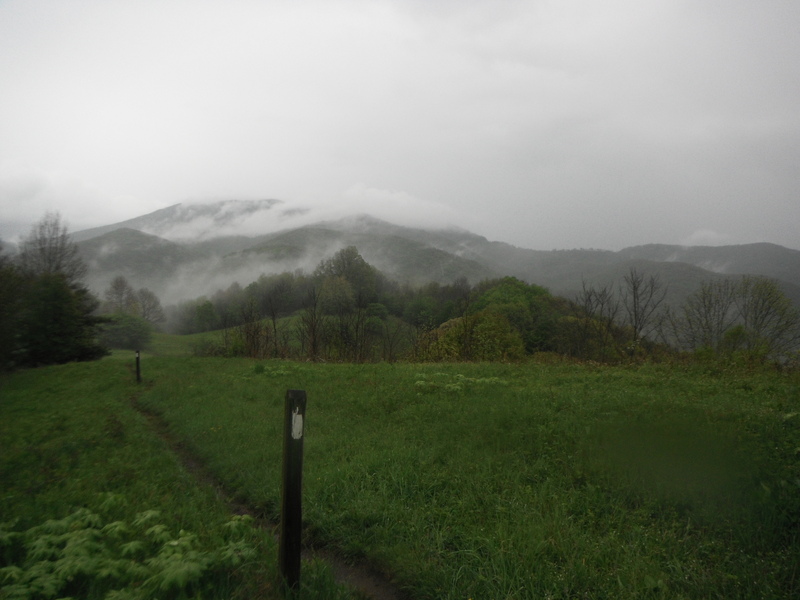 I walked up to the “Welcome to the Hundred-Mile Wilderness — Prepare to die” sign in a deluge. Having waited two years to see that sign, I instantly got choked up at the sight of it, but my tears were indistinguishable from the raindrops coursing down my face. 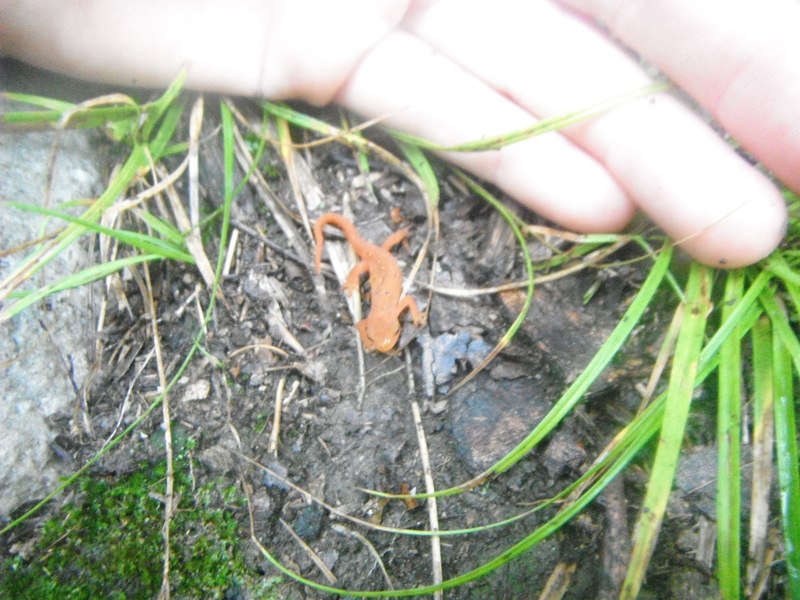 I snapped a picture of the sign with my waterproof camera and entered the Wilderness. 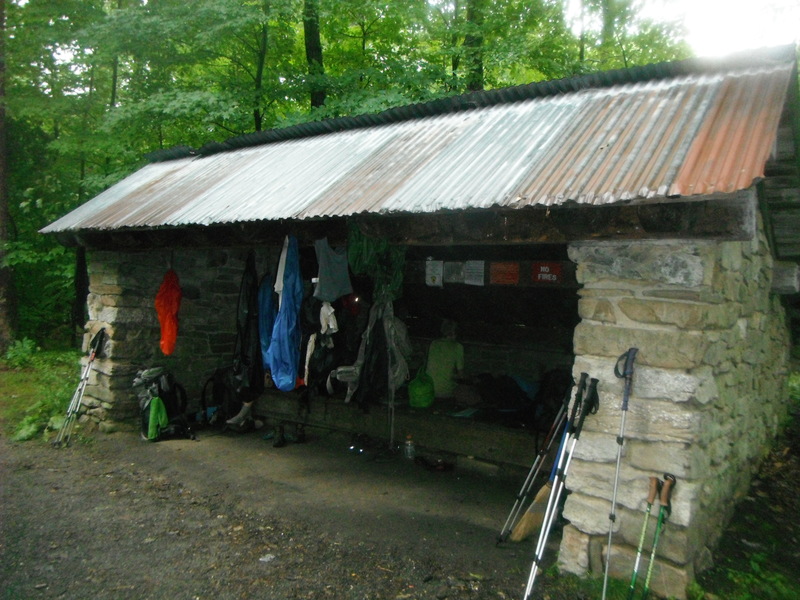 After wading down the trail for three miles, I spotted the shelter where I intended to camp. There was one problem: The shelter was on the other side of a ravine, through which was gushing a very narrow, whitewater stream. I stuck one of my trekking poles into the water, working to push it down rather than letting the water force it sideways. The ravine was rocky and clogged with logs and branches; I was worried that I’d get my ankle wedged under debris as I tried to cross it. I considered camping on the south side of the little ravine, but the allure of being under the roof of the shelter in the deluge was too great. Acknowledging that I had the attention of a boy who was camping with his dad at the shelter and would take notice if I was washed away by the surging stream, I stepped into the water, which flowed around my waist, and climbed onto the opposite bank. When I returned to the Wilderness the following year, the stream in the ravine was flowing gently, and I almost didn’t believe that crossing it had been so treacherous a year earlier. That has been the case with many of the streams in Maine that I’ve repeatedly hiked through. During wet seasons, I have carefully forded streams that reached to my waist or higher — or camped on the south side of them and waited for the water to subside a bit — but, in dry times, those same streams were barely mid-shin deep. Conversational blue blaze: More than anything else in the woods, water crossings used to terrify me. I’d fallen into a frigid stream in New Hampshire in 2010 and been pinned under a rock for long enough to scare myself; since then, I’d had a petrifying fear that approached phobia status. I didn’t get a chance to test my fear on the bridges of the southern Appalachian Trail, but I had to face it head-on in Maine. At first, I’d only crossed streams if other people were around. Then, I’d come to the curious conclusion that I was actually less nervous if I intentionally walked into the streams, rather than attempting to rock hop over them. 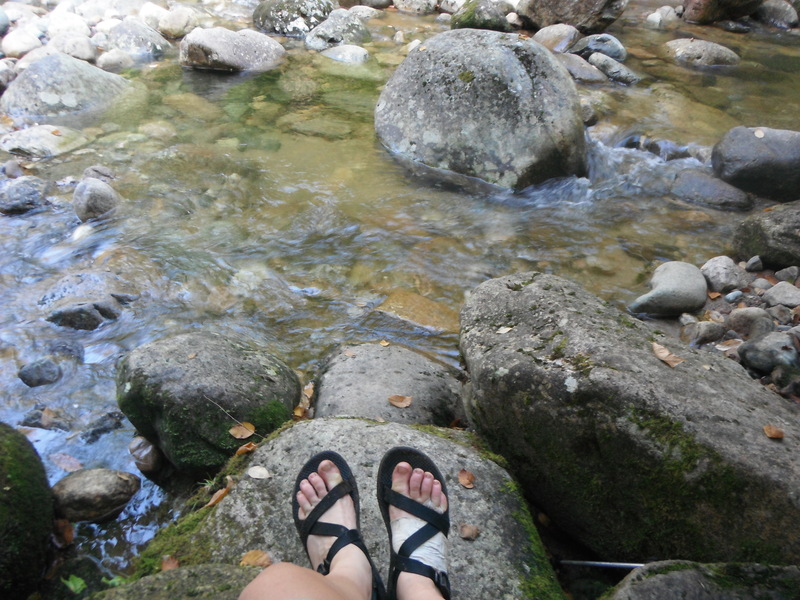 Finally, I became the capable stream crosser that the number of miles I’ve hiked would seem to indicate that I am. And, that is a huge improvement, as it allows me to enjoy all that the Maine woods have to offer. To blue blaze or not to blue blaze? 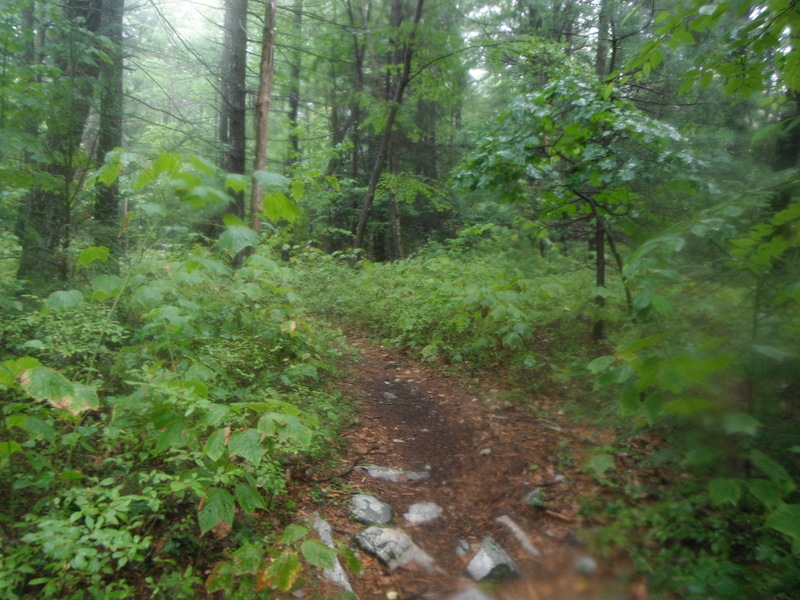 “No rain, no pain, no Maine,” goes a popular trail adage. 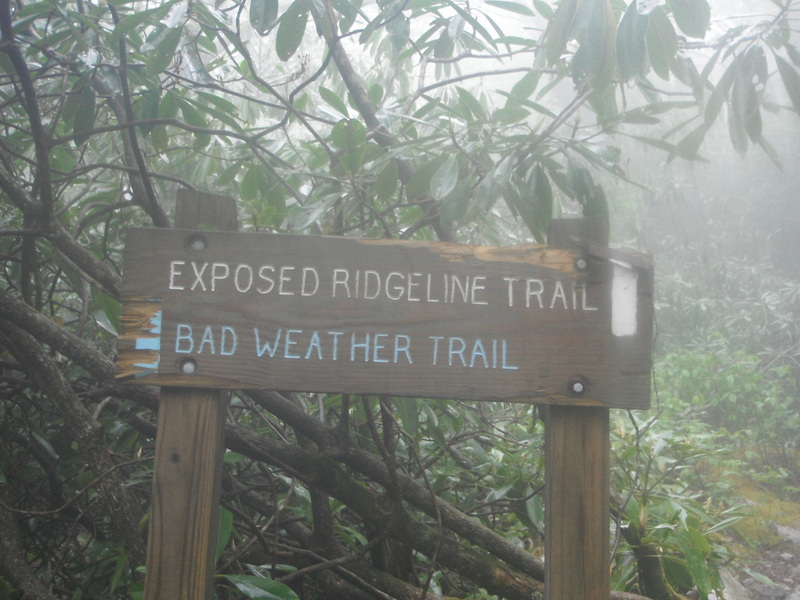 As many parts of the eastern woods receive upwards of 40 or 50 centimeters of rain each year, the Appalachian Trail is the wettest trail of the United States’ Triple Crown. With all of that precipitation, one of the most important questions aspiring thru-hikers ask is how to stay dry while they’re living in the woods. 1) Ditch the pack cover. I thought I’d start off this post with some unconventional advice: Don’t invest in a pack cover. They’re overrated. Newbies often assume that pack covers will keep everything in their packs dry, as this seems like the only reason to bring along a several-ounce elasticized piece of nylon. I once held this misconception and spent an uncomfortable night in a rather damp sleeping bag. Pack covers are intended to keep only packs dry, which their proponents claim is an important way to reduce pack weight. In my mind, the weight savings on wet days doesn’t justify carrying the pack cover on sunny days. 2) Prepare to be amazed by the power of the trash compactor bag! So, you may ask, without a pack cover, how will I begin to keep my gear dry? Trash compactor bags are a favorite trail secret of mine. 3) Pack for rainy weather. This is one of those tips that might not be readily apparent but becomes second nature with increased backpacking experience. It’s a good idea to have several different Tetris-like configurations for all the gear in your pack, and some of the most important configurations involve dealing with wet weather. Suppose that it is raining while you’re packing up in the morning. Can you pack up all your gear while staying inside your wet tent? Suppose that you’re expecting it to rain today. How can you ensure all of your most important gear stays dry and that your tent is easy to set up in the drizzle sure to accompany the day’s end? Finally, suppose that it rained last night but will be a gorgeous day today. Can you arrange your pack in such a way that you’ll be able to dry your tent and anything else that got wet at the first sunny spot you come to? 4) Forgo GORE-TEX boots in favor of quick-drying hiking shoes. Gone are the days of hikers marching from Georgia to Maine in heavy leather boots; these days, “hiking shoes” or even “trail runners” are exceedingly trendy. In my opinion, this is for good reason. 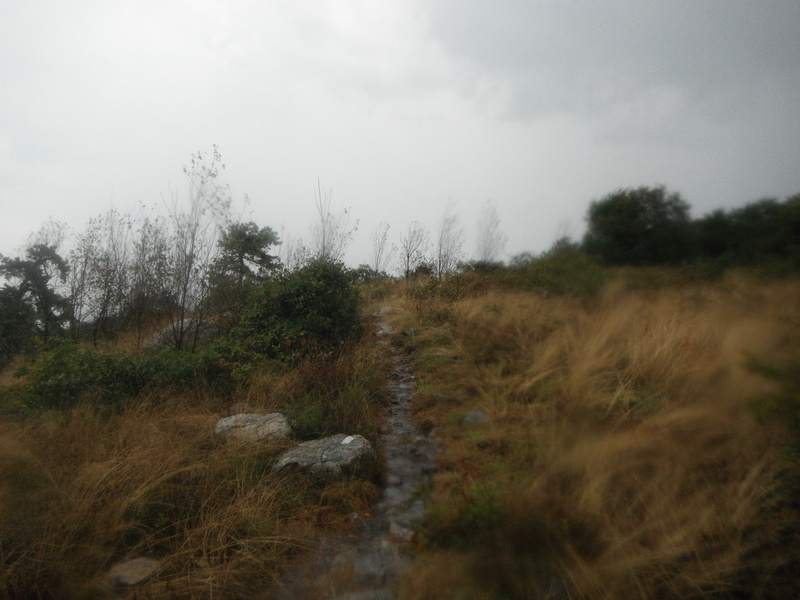 On rainy days, the Appalachian Trail gets wet — very, very wet. 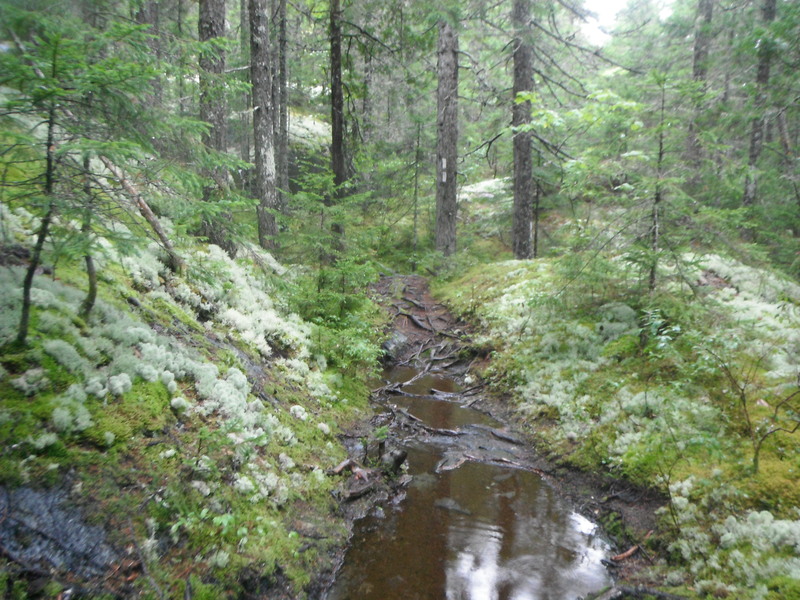 While it’s raining, it’s not unusual to walk down the trail in a mid-calf-deep stream. Because of this, everyone, regardless of their footwear, gets wet; the important thing becomes how quickly your shoes dry. 5) If you tend to get chilled easily, bring rain gear. I really like having rain gear on the trail, even if my rain jacket is only marginally waterproof these days. I’ve been told that, unless you shell out a small fortune to purchase them, you’re unlikely to find a rain jacket or pants that are both waterproof and actually breathable. Some people use this fact to dismiss the value of rain gear: Is it any better to get wet from sweat than from rain when wearing a rain jacket? I would say that it is. Rain gear cuts down on wind and allows your body to form something of a miniature sauna, which has kept me safe on cold, rainy days. 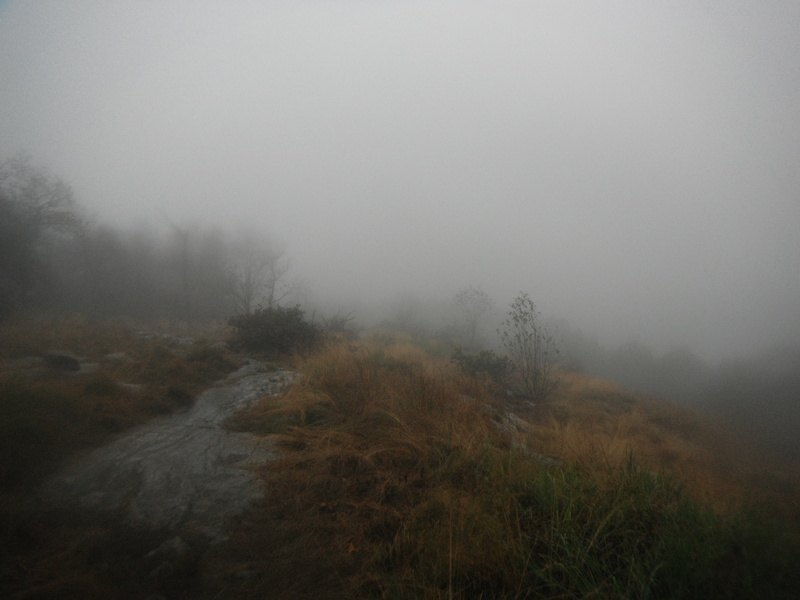 6) Embrace a set of rainy-day hiking habits. Regardless of how you hike on sunny days, you’ll probably end up adopting a certain set of behaviors for rainy days. You’ll probably take shorter breaks, and you’ll probably seek refuge in any shelters you pass. You might cook less. Perhaps surprisingly, you’ll likely put in more miles than you normally would. On rainy days, some important behaviors to consider involve dealing with your wet clothes once you get to camp. If it’s a warm day (and you’re tolerably chafe-free), you might choose to sleep in your wet clothing to allow your body heat to dry it. Conversely, if the day is colder, the best thing you can do, in my mind, is to take off any wet clothing you’ve been wearing and don some of the layers your expert packing job and trash compactor bag have kept dry. Instantly, you’ll feel warmer — and probably in better spirits. How do you deal with rainy days on the trail? I’d love to hear about your tried-and-true practices — or your favorite wet-weather hiking stories.